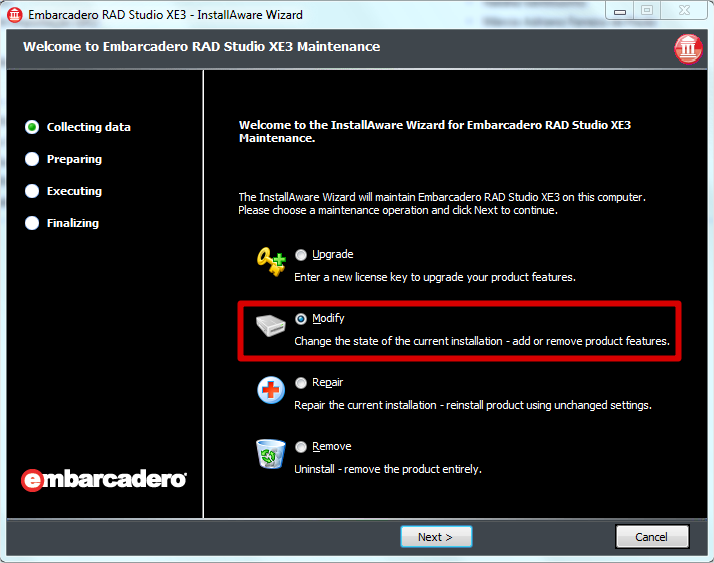 Before installing a new IntraWeb version in Rad Studio / Delphi 2009, 2010, XE, XE2, XE3, XE4 or XE5 you must first uninstall the IntraWeb bundled version (the IntraWeb version that comes with Rad Studio / Delphi). 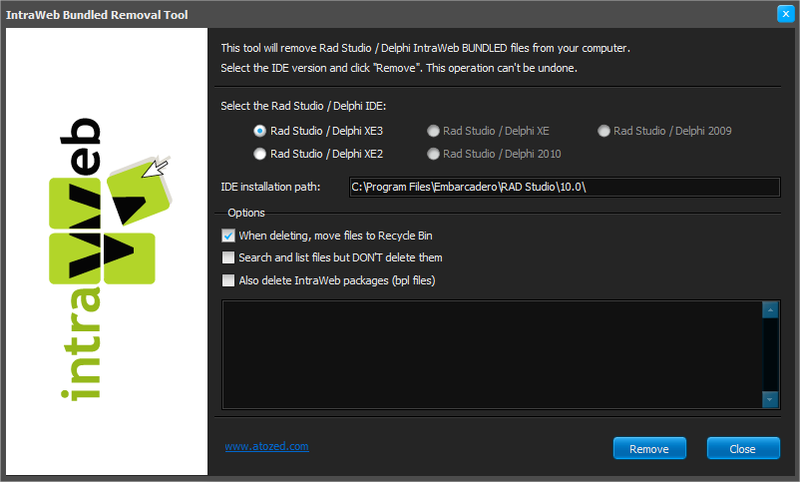 Unfortunately, even if you choose not to install IntraWeb during Rad Studio / Delphi installation procedure, the setup program will copy IntraWeb files to the \lib folder. To avoid version conflicts you must completely remove all bundled files before installing a new version. Download the IntraWeb Bundled Removal Tool, here. Also delete IntraWeb packages (bpl files): If checked, will delete all IntraWeb compiled packages (bpl) files from the \bin folder (default not checked). 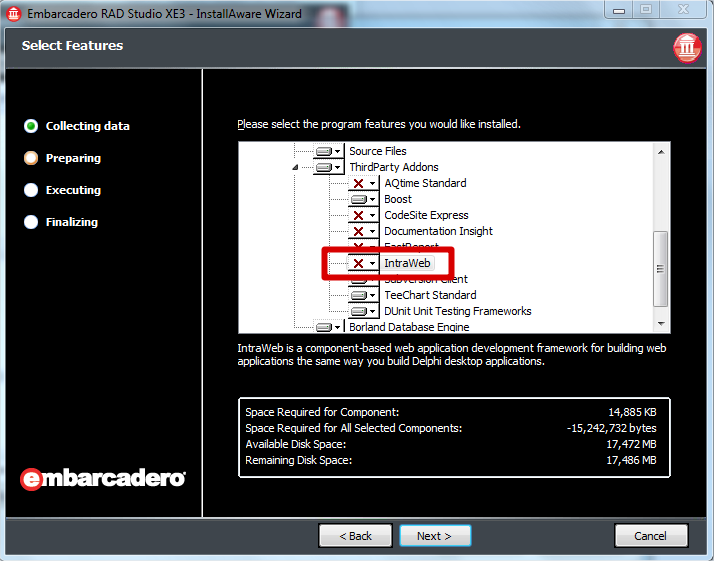 This will NOT remove IntraWeb*.bpl files from your Windows\System32 files. This file will be overwritten when you do a new IntraWeb installation. Then all you have to do is click on the "Remove" (or "List Files") button, and wait until the end of the process. Close IntraWeb Bundled Removal Tool and install a new IntraWeb version. Under Windows 7/Vista this tool requires UAC elevation.